RALEIGH — The state House of Representatives unanimously passed legislation Thursday requiring North Carolina elementary school students to learn cursive handwriting and to memorize multiplication tables. 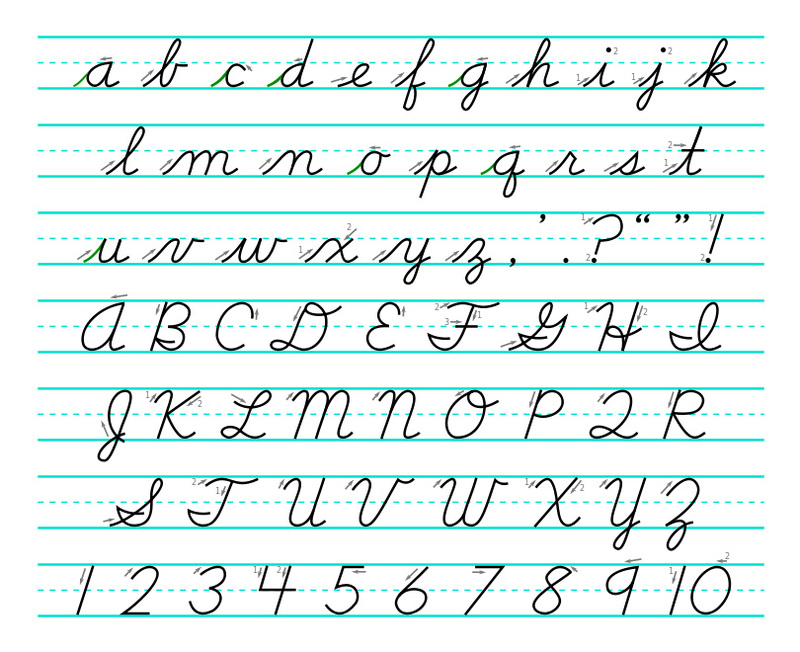 The “Back to Basics” bill would once again make cursive handwriting a part of the curriculum for the state’s public elementary schools. The State Board of Education would be expected to make sure that public schools provide instruction so that students create readable documents in cursive by the end of fifth grade and have memorized multiplication tables. With legislators fearing that cursive handwriting is becoming a lost skill and that students are relying too much on calculators, the bill drew no opposition. The normally combative arguments on the House floor were replaced with laughter Thursday about whether anyone would vote no. The bill drew 107 yes votes with no dissenters. The bill, H146, now goes to the state Senate. If approved, it would go into effect for the 2013–14 school year with state education officials saying it could be accommodated into the curriculum. Putting aside my bedazzlement at the ability of North Carolina legislators to break new ground in the field of completely wasting time, I’d have to say my experience leads me to a mixed view of this whole thing. I loved memorizing multiplication tables. In fact, it was the only form of math I ever really was good at. But cursive? Cursive can blow me. The only C’s I ever got in grammar school were in what was then called “penmanship,” and, in frustration, my father once made me stay in on the first really nice Saturday of spring and copy out by hand an entire chapter of Wuthering Heights. Which is about when I developed my hatred for both cursive and the Brontes, and I’m afraid Jane Austen got tossed into the mix there, too, although I thought Clueless was funny. It’s about time the the politicians woke up! Absolutely!! I volunteer as a tutor for 2nd and 3rd graders at an after-school program and am shocked at the fact that 3rd graders cannot even write on the line when they try to print. Many of them do not know know yet that 2x2= 4 or 3+2=5. They MUST start memorizing. This is the age at which they can memorize very easily and should utilize this “brain window of opportunity” for consolidating multiplication facts! I homeschooled my three children for at least the first five grades and can guarantee you they can learn cursive and multiplication table well if taught EARLY!!! They don’t have to have perfect or great cursive handwriting, but teaching it will still develop eye-hand coordination and will be one more thing to develop the young brain.